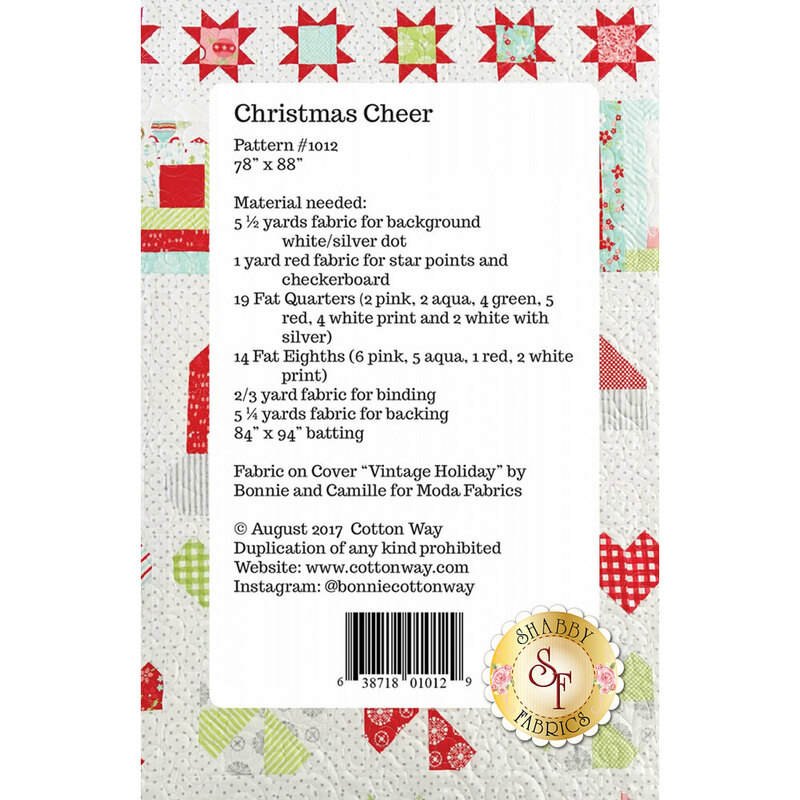 Celebrate the holiday season with Christmas Cheer! 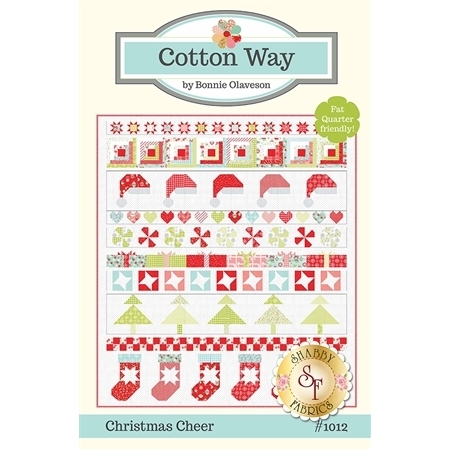 This fat quarter friendly quilt includes all things Christmas from Santa hats to stockings and peppermints! Pieced in rows and oh so fun to make, the finished quilt measures approximately 78" x 88".